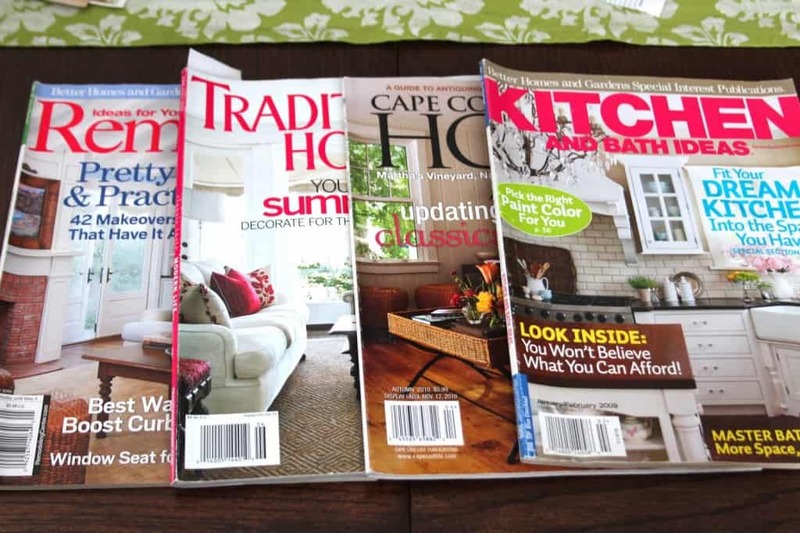 Magazine Hoarding Therapy, And While We’re On This Subject…. Well it seems I am not alone in my hoarding tendencies. I knew I’d be in good company here! 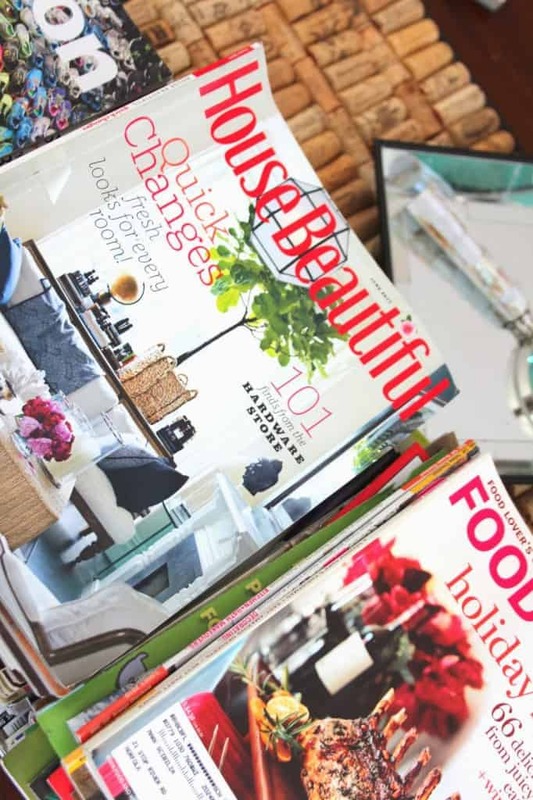 If you are a fellow magazine hoarder and feel like the time has come to part with some of your beloved publications (not having a place to set down your coffee mug on your coffee table might be a hint), here are a couple quick ideas to help you get started. ONE – sort. I find a great way to get rid of magazines en masse is to sort magazines by kind. My mom passes on some of her magazines to me, and after leafing through a couple of them I realized there probably wasn’t anything in them to make them saveworthy, so I recycled the whole lot. My House Beautifuls? Can’t part with a single one. I might have to visit this decision again in 5 years, but for now, they are staying put. TWO – rip & toss. What are you really saving that magazine for? If it’s for one image that you absolutely love, rip it out and recycle the rest. THREE – save. 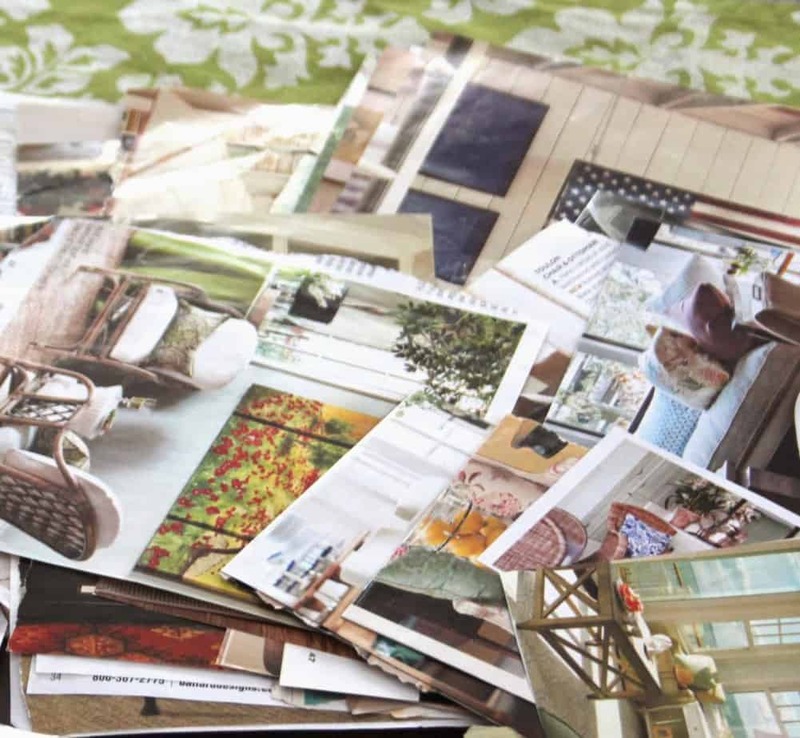 you can save old magazine images to your Pinterest boards by scanning (or taking a good photo of it with your phone or camera), or if you know what magazine and edition it was from you can find the image online and save to your Pin board. Throwing your ripped images into a photo box for future reference works too – that is what I did for years and I suspect if you loved shelter mags before Pinterest, you did as well. 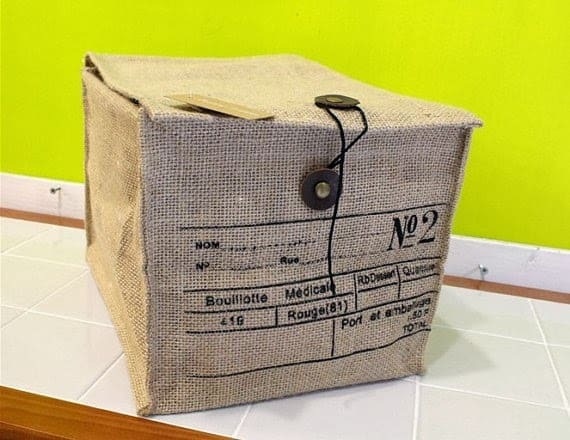 A couple years ago I gave the contents of that box a quick sort and put them into plastic pockets in a binder. I don’t think I have it in me to take a picture of every one of these images and upload it, plus I like looking through them when I need inspiration. This is my fancy labeling system. I hope Martha doesn’t try to steal it. While we’re talking about magazines, can we discuss something that gives me the heeby jeebies a bit? I truly hope I don’t offend anyone – because I think I might be the only person who has the heeby jeebies about this – so if you do this – it’s me, not you. READING MATERIAL IN A BATHROOM. I understand that everyone poops. And that some people like to read while doing so. It’s a great thing. The human body is awesome. Yay for pooping. 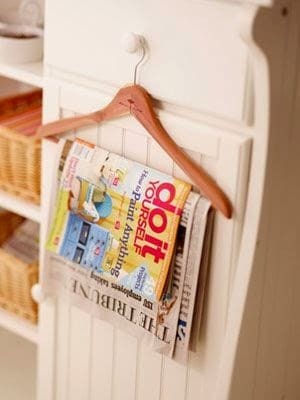 If I’m a guest in someone’s house and there is, let’s say, the sports section of the newspaper in a cute basket or built in magazine rack next to the toilet, it’s all I can do to NOT think of the male in the house sitting on the toilet doing something I don’t want to think about him doing. Ewwwwwwww. 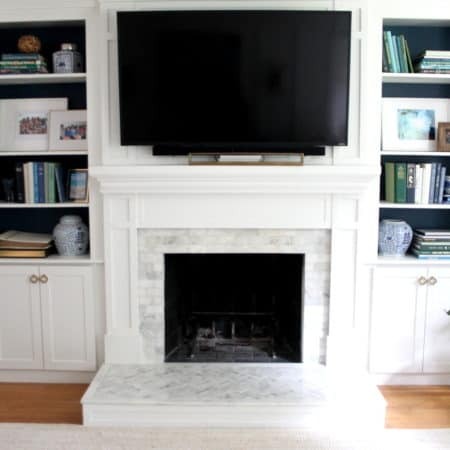 Or how about if the reading material is Better Homes & Gardens or InStyle? Great. Now for .00025 of a second I have had the thought, before quickly thinking of something else, anything else, other than my beautiful hostess um….doing her unmentionables in this very spot. GROSS. I know it happens, but do I need to be reminded of it? There is only one exclusion: Children’s reading material next to the potty – that’s cute. Awww. 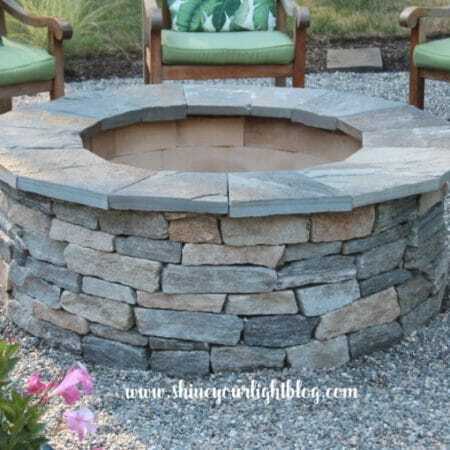 But my guests and your guests do NOT need to be fighting off images of us on the toilet because a crossword puzzle or House Beautiful is right next to it. 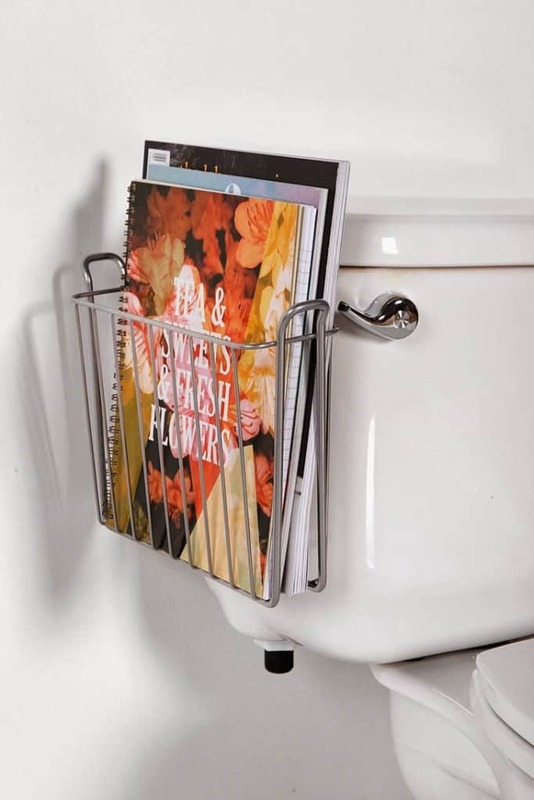 So – how about keeping the reading material in a bathroom not frequented by guests? Or if there is the one bathroom issue, perhaps keeping it stashed in a cabinet? 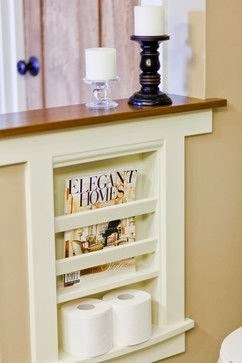 Maybe a closed basket for magazine storage? This one seems appropriate, don’t you think?! Am I the only weird person on the planet who doesn’t want to see someone’s reading material when I visit their house? Tell me – it’s okay, I can take it! WOW on the first Best of the Nest party!!! Jennifer, Pam, Kris and I are blown away by all the inspiring projects linked up! This Friday we’ll be featuring some of our favorites – come on back to check them out! I couldn't agree with you more! Never been a fan of reading material in the bathroom either. This reminds of the Seinfeld episode when George takes the book into the bathroom, then tries to return it. Ha! Hahaha! We're on the same boat Lisa! I too do not have any reading material in the powder room or guest bath! I do have a small book for kiddos in the powder room, that's it! In the master loo however, there is where some of MY magazines reside, what can I say, I don't like "wasting" time ( no pun intended)! LOL! I also rip out a lot of my mags and have a ginormous folder for it. I have kept my Martha and REAL SIMPLE forever and also my old DOMINO & Oprah Home mags. I need to start sorting again, thanks for the reminder! You crack me up. If my husband had his way, he would just stick a toilet in the middle of a library. 🙂 I have binders and binders of ripped out magazine images. And between you and me, I love them more than pinterest. shhhh. We don't keep reading materials in the bathroom either! You are right about the kids books though…those are cute! And a shout out to Brandi – I see she is a fellow Seinfeld fan! This is some funny stuff! Yes I hoard magazines too – I hoard in every way possible (I keep magazines, tear out pages and keep binders – all 3 – at the same time) my systems make no sense! Oh and the bathroom reading issue – I completely agree! I am squeamish about very little, but bathroom reading material – that's gross and needs to be hidden! Hilarious and too true! I've never understood this practice and it give me the heebies too! Funny that I also happened to be doing a major magazine purge as part of my office update the very day you wrote about magazine hoarding. Love knowing I'm not alone! never thought about but you are so right! I 100 percent agree!! Couldn't agree more!! It's nasty. I will take this one step further. I won't even use someone's hand towel. I keep pretty paper guest towels in my bathroom. The thought of wiping my hands in a towel, not knowing how long the towel has sat their or how many hands have been wiped on it. Sooooo gross!! Lisa – you speak my language…. magazine keeper and I am all about the potty zone remaining free of reading material 🙂 I was squeamish reading about the topic! This is hysterical! 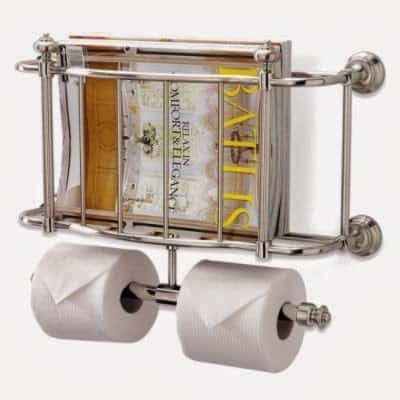 But I must admit I'm right there with you when it comes to reading in (ahem) the bathroom. We do not leave any reading material in the bathroom at all, but extended family members do and it grosses me out completely, so I share your same gross out, gag feelings – totally!! I'm with you too – I save all of my HB magazines and I typically rip, Pin and recycle the rest. I just have too many and it's crazy. 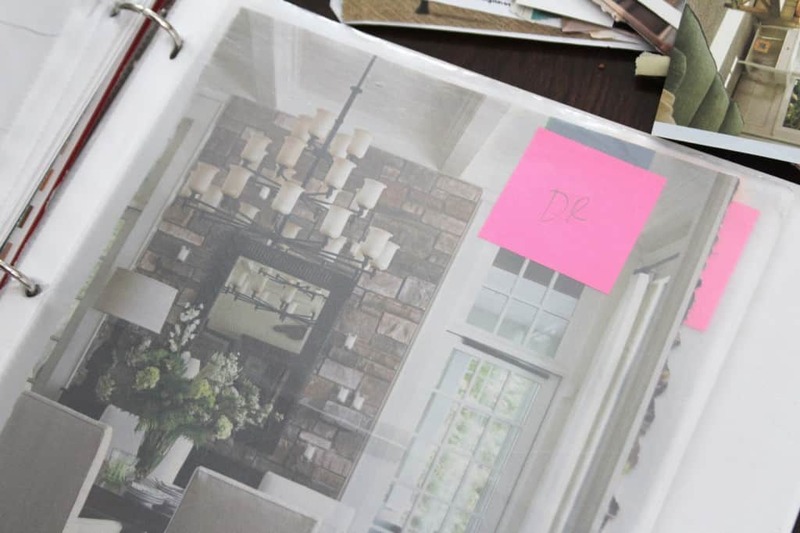 Thanks for your sweet comment on my Habitat project post – it's such a fun opportunity.